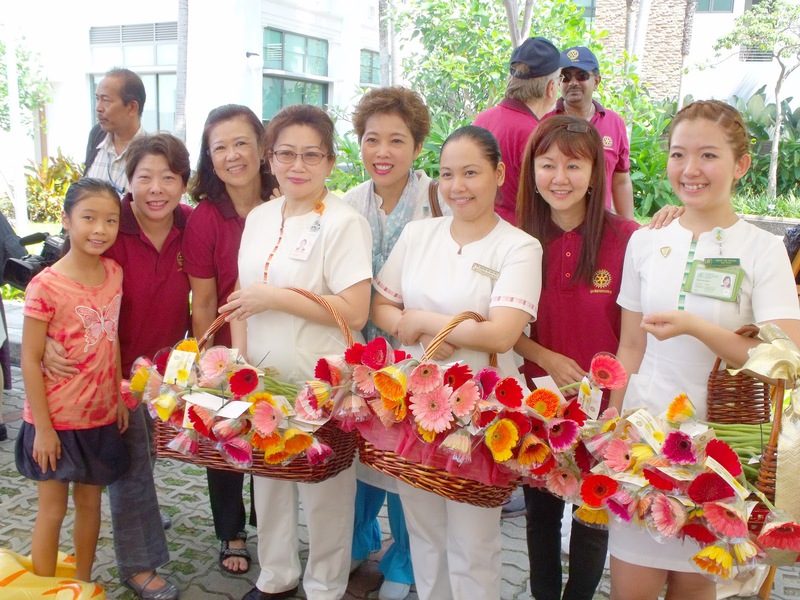 RC Queenstown showed our appreciations to the nurses by presenting them with flowers and instant photographs during the Nurses Day Celebrations at the Singapore General Hospital. 1,000 Gerberas were given out to the nurses who showed up at our booth. Each flower was tagged with our appreciation message wishing them a Happy Nurses Day. 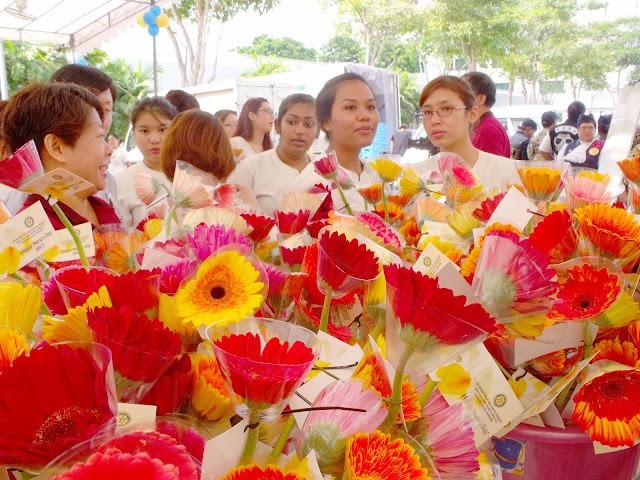 The flowers and photo sessions were some of the most popular attractions at the event site. Rotarians had a good time too seeing all the nurses lit up with smiles on a bright sunny Friday morning with something to cherish over a memorable Nurses Day. Please check-out our photo album on this site or go to http://rcqphoto.shutterfly.com/ to view the photos taken on location.